During the 1960s and 1970s New Zealanders became increasingly interested in Japanese culture, including the arts of bonsai (growing trees in miniature) and ikebana (flower arranging). 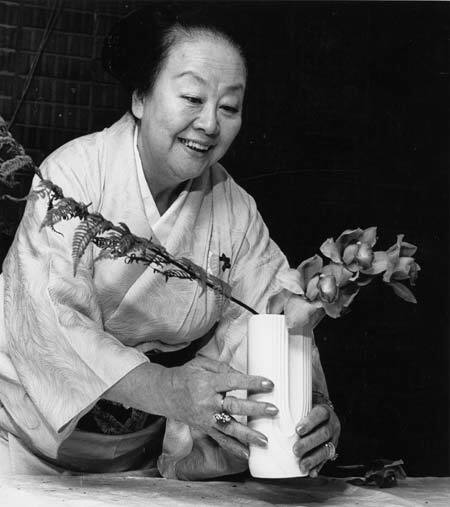 Visits by Japanese ikebana experts spurred the establishment of ikebana societies, especially in Auckland. Here, the president of the International Ikebana Academy, Noriko Ohno, arranges flowers for the wife of Acting Prime Minister Geoffrey Palmer in 1987.